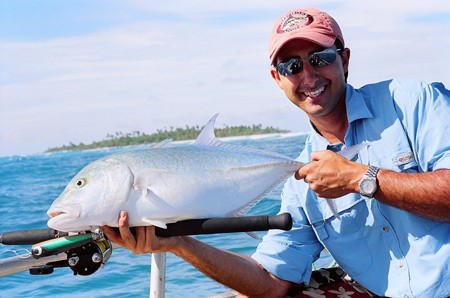 The Cook Islands are a sparkling jewel of the South-Pacific, boasting brilliant sunsets, pristine white beaches, some great game fishing and every fly fisherman’s dream… Bonefish. The lagoon in Aitutaki spans over 50 square kilometers of water and houses a stock of Bonefish which are trophy size and growing all the time. 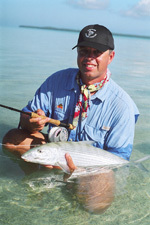 In Aitutaki your guides are third generation fishermen and have an in depth knowledge of the local waters. They will put you in the right places to bring in the fish of your dreams! The main island of Rarotonga is where the game and sports fishing options are available mere minutes after leaving the wharf. Here you can get a day’s worth of fishing in and still have time to explore the island! Here you will find a destination which is not yet overpopulated and still follows ‘island time’. This is the ideal location to kick your feet up on the beach, under a palm tree after a hard day’s fishing.